On Monday, September 12, 8 candidates were interviewed for the two vacant seats on the Longmeadow School Committee in a joint session of the Select Board and the SC. Below are photos of the candidates who participated. I listened to this 2+ hour session and found many of the questions- particularly those from current SC members- focused upon asking the question as to whether or not the candidate supported education in Longmeadow at whatever cost. Questions included asking whether or not the candidate was in favor of Proposition 2½ overrides or whether or not the candidate supported the new high school project. Answers that were tempered with economic reality were in some cases greeted with obvious disappointment and framed to suggest that the candidate was against quality education. It's interesting that one of the vacant SC seats was caused by a job loss and subsequent relocation and one of the candidates applying for the position was also affected by a recent job loss. A number of these questions/ answers were captured and can be replayed below. The School Committee clearly needs a change in membership to better balance the fiscal responsibilities between the education needs of the child and the needs of our town. After listening to the questions/ answers during this interview session, it is quite clear that the voting for these appointments is setting up to be along Democrat/ Republican party lines even though SC Chair Jester stated during these interviews that the SC itself is strictly non-partisan. From what I heard the top choices that would improve this fiscal balance would be to appoint Jeremy Powers and Gerard Kiernan to the vacancies on the School Committee. Both individuals are strong candidates with very different skills and knowledge and would clearly strengthen the School Committee. I urge all SB + SC members to make their candidate selections based upon what's best for our town. I ask all town residents to watch the full replay on LCTV and then to email, phone, Tweet, Facebook, etc. all of the Longmeadow SC + SB members with their two choices. Appointments to the two vacant seats will be made in another joint SB/SC meeting on October 3. Here is the video produced by LCTV for the 9/11 Longmeadow Remembers event on the Town Green- 9/11/11. Below is a summary of the candidates seeking an appointment to one of the two vacancies on the Longmeadow School Committee. They will be interviewed at a joint Select Board/ School Committee tomorrow night (Sept 12) starting at 7 PM. The interviews will be broadcast live on LCTV-12. The two appointments are currently scheduled to be made at a second joint SB/SC meeting on October 3. There are 5 applicants for the School Committee vacancy #1 and 7 applicants for the School Committee vacancy #2. *Rev. Deacon Gebron unofficially informed LongmeadowBuzz that he was withdrawing his application. In an effort to provide town residents as well as School Committee/ Select Board members with a better knowledge of who the candidates are and why they should be appointed, last week I asked each candidate to provide answers to a series of four questions. 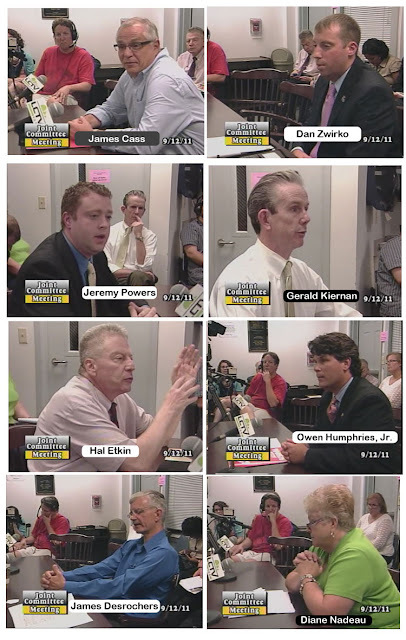 Only one candidate (Hal Etkin) elected to share his answers which are shown below. Hopefully, during the interview process the other candidates who decided to not participate will be able to share their answers. What is the best way to improve the quality of education in our schools? I would investigate the possibility of creating a system among the teachers and schools in which each is rewarded based upon the students’ academic testing and performance. Teachers, guidance counselor and administrators who are exceeding performance objectives should be noted and compensated accordingly. What is the biggest challenge the school district faces, and how would you try to solve it? Fiscal management and accountability. The School Committee should constantly seek ways to save money. Many of the citizens in the community live on fixed or reduced incomes. Governmental officials must work hard to save money in this difficult economy. The school budget is one of the biggest expenditures to the town. What is the attribute(s) you bring to the board that should cause School Committee/Select Board members to vote for you? I have been told that I work well in a team environment. I am also a good listener. As a school committee member, I think the ability to listen to and work well with others on a committee is extremely important in getting things done quickly and efficiently. In addition, we are the proud parents of a student in the system and I have experience in teaching and education. If appointed to the School Committee, name two priorities you'll bring to the position over the next 9 months. Fiscal management and accountability. Although these two issues are very important to me, I also want to listen to and consider the priorities of other committee members and Longmeadow residents. These two appointments to the School Committee (2 of 7 members on the committee) will be very important to the future of our town. These two new SC members will likely be casting deciding votes on a number of important decisions over the next 9 months. Let's hope that our elected SB/SC members avoid political squabbling and appoint two qualified people that will protect the interests of all town residents. 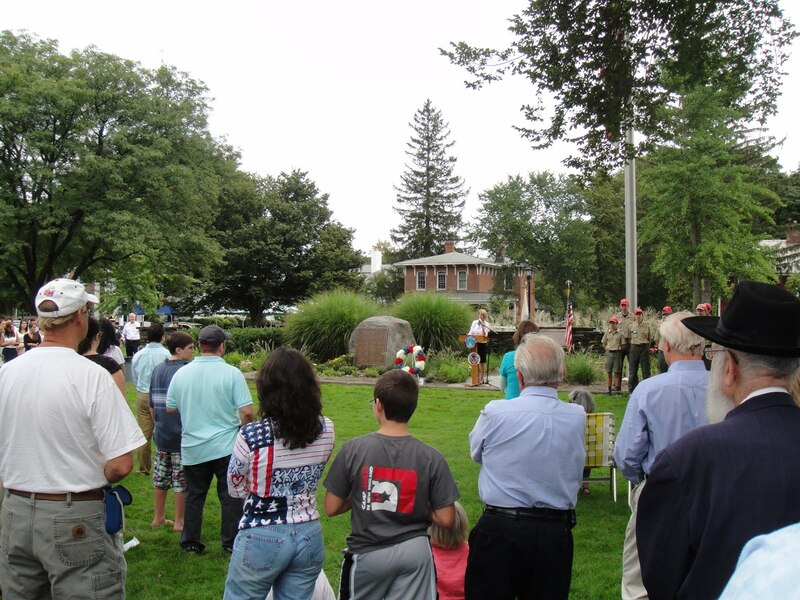 A HUGE thank you to the 9/11 Longmeadow Remembers Committee for organizing this special event on the Town Green. In addition, a special thank you to all of the participants as well as the 250-300 town residents who attended this event. LCTV and its team taped the event for later viewing by town residents and others who missed it. Visit the Longmeadow Buzz later this week to view a web broadcast.